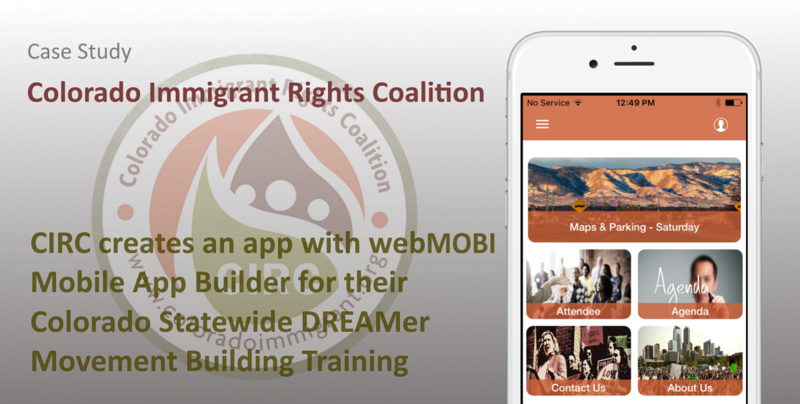 The Colorado Immigrant Rights Coalition chose webMOBI mobile app builder for Colorado Statewide DREAMer Movement Building Training, which took place on 11th and 12th of November, 2017 in Alameda, Denver, CO. This is an excellent example of a mobile app guide for community centers. 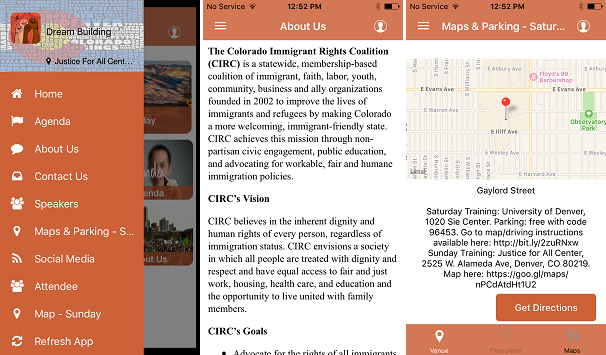 The Colorado Immigrant Rights Coalition (CIRC) is a membership-based coalition of immigrant, labor, community, business and ally organizations in the state of Colorado, which is founded in 2002 to improve the lives of immigrants and refugees, making Colorado a more welcoming, immigrant-friendly state. CIRC wanted to try an event for Colorado Statewide DREAMer Movement Building Training. The goal was to help their members with details information about the event and guide them about the venue and logistics. CIRC chose the webMOBI platform (mobile app builder) to create an app with all the information their members might need and publish it within webMOBI App. All it took them is one day to create a beautiful app with all the necessary features and publish it. In the home screen, you can have all the most used features. In CIRC’s app, they had Map for first-day venue of the event and parking, Attendee List, Agenda, Contact Us, About Us features. The left menu contains feature modules containing all the event information. Navigation: They have used to Map to provides navigation and venue details of each day of the event. About Us: Little information about the community. Agenda: This module provides members with key details like schedule, the list of events and speakers, keynotes, venue and more information about each event. Attendees can add an event to their Personalized Schedule. Speakers: List of speakers, speakers profiles with some more information about each speaker. Social Media: List of Social media handles to encourage the attendees to increase social media activity. Attendees: Member can find all other members and can chat with them. 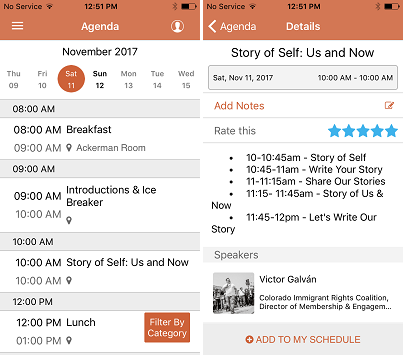 The right menu contains all personalized features like Notes taken during the event, Favourites, Chats, Push notifications sent by organizers. Organizers can send push notifications to help the attendees to get all the needed information. Once the event is downloaded, members can use the app offline. Seamless workflow and pure User experience. Real-time updates for the app content. Analytics data about the event engagement to help organizers measure the ROI. We have also developed many enterprise apps for, with some advanced features like live polling, gamification, activity feed and so on. Please have a look at other app developed with webMOBI. Feel free contact us for more information about building an event app and enhance attendee engagement.